COCHE A ESCALA 1/43, MODELO FORD FIESTA S2000 DEL RALLY CATALUÑA DEL 2010, COLECCION PASION DEL RALLY ALTAYA. 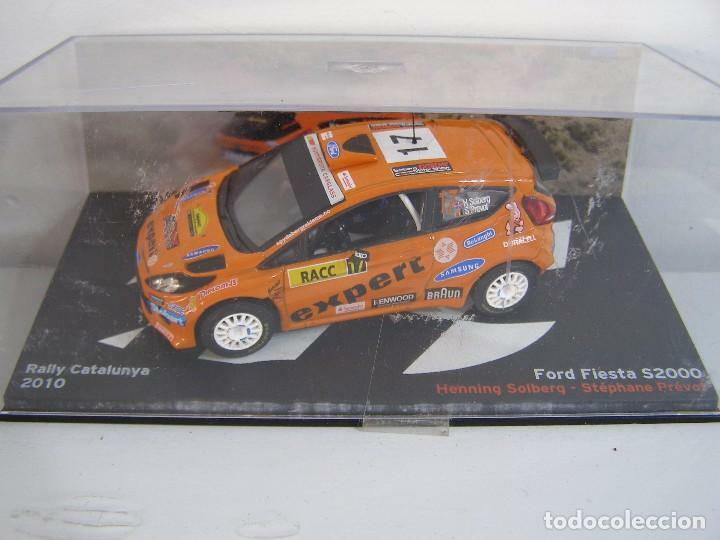 1/43 FORD FIESTA S2000 DEL RALLY MONTECARLO 2010, COLECCION PASION DEL RALLY ALTAYA. 1/43 PEUGEOT SO7 S2000 DEL RALLY CURITIBA 2010, COLECCION PASION DEL RALLY ALTAYA. 1/43, FORD FIESTA GT3 RS DEL RALLY MEXICO DEL 2010,COLECCION PASION DEL RALLY ALTAYA. Hora oficial TC: 12:04:01 TR: 123 ms.